Fancy a Spaghetti Bolognaise? Watch this movie. Fritz left a door open somewhere. Did the creators of �Trench 11� know that the film �Overlord� is going to be released this autumn? 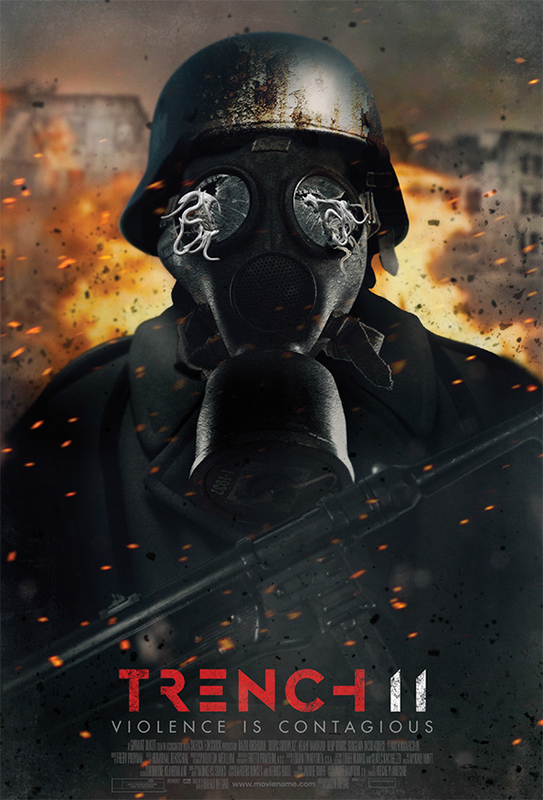 Or did they want to beat film studio �The Asylum� and be the first one to deliver a low-budget horror in which American and English soldiers face German zombies? The biggest difference with �Overlord� is the world war they�ve chosen. �Overlord� is about American marines after D-day in the 2nd World War, while �Trench 11� is situated during the 1st World War. So no Nazi Germany. No posts have been made on this movie yet. Be the first to start talking about Trench 11!